Under construction. I have over 8,000 words of notes to distill and organize. I was unable to attend Monday’s testimony. Visit the Athens Herald-Banner for their excellent reporting. In particular, watch the video. After testimony by David Prince, at 3:15 into the video, a medical examiner testifies about the wounds sustained by the deceased. Missing from the online report, I’m sure due to space reasons, is that autopsy pictures of Bryan showed that he was wearing a shirt with the slogan, “It’s just a flesh wound!”. Monty Python fans know that this is from their 1975 movie, “Monty Python and the Holy Grail”. Mr. Tolley, the defense attorney, tried to use this to show Bryan’s supposed “aggressive” nature. (see also here). According to Mr. Mough, this backfired, so that several jurors and even the judge chuckled at this attempt. This slogan is not based on aggression, but on high farce and defiance -- a “never say die” attitude. Mr. Mough viewed this as Bryan’s last laugh. This particular example of Python humor can be seen here on YouTube. Normal start: 27.2 mph @ 232 ft.
Revving start #1: 48.8 mph @ 247 ft.
Revving start #2: 54.7 mph @ 285.3 ft.
Let’s use the highest acceleration, 3.44 m/s2, and determine how far it would take the bike to get to 26 mph using the same formula. It turns out to be 64.42 feet. Gear has said that Bryan went past the Gear’s driveway, “whipped around” on his bike, and charged at him. In order to reach the low range of speed determined by the Georgia State Patrol - 26 mph - at the highest acceleration that could be obtained on the bike by a professional driver, Brian had to be about 64 feet away when he turned around. If his acceleration was 3.16 m/s2 then he had to be 70 feet away. If he reached 28 mph, he had to be at least 74 feet away. 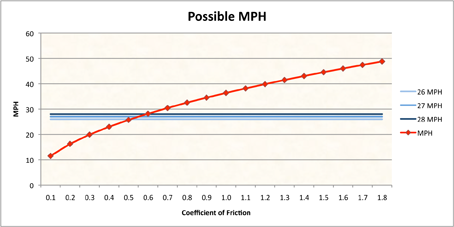 The physics also shows that the motorcycle would have under four seconds to reach the final velocity. So testimony shows that the third and fatal shot was fired at least a minute after the first two. Unless my math is way off, I think this conclusively disproves the claim that Bryan “whipped around” and charged Gear. 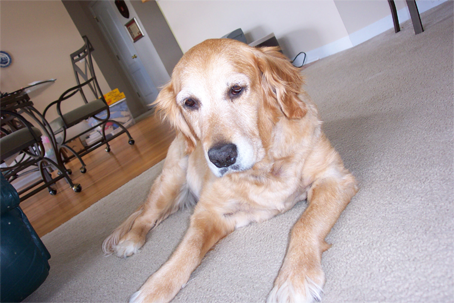 This weekend, my wife sent me via e-mail a delightful letter written by a dog to God. Being a lay theologian and a passionate dog lover, in an act of hubris I would like to send a reply. However, I don’t know who to attribute the original and so don’t have a return address. Dear Dog: no, this isn’t on purpose. It’s just an accident of language. In German, for example, you would be “Hund” while I would be “Gott”. In Russian, you are “sabaka”, while I am “Bog”. It seems odd, doesn’t it? But I am a Master Artist and my creations display great variety. Of course you can sit on my couch. In heaven, unlike on earth, your claws cannot damage My furniture. It does seem unfair, doesn’t it? But consider yourself. You are loyal, courageous, intelligent, and dependable -- everything cars aren’t. Do you really want to have your good name and reputation associated with them? Do not be like my creatures which aspire to roles that I never intended them to have; who leave a higher calling in pursuit of outward appearances of power and responsibility. Of course not. There are no bad dogs. It just that, for a while, good dogs have to live with fallen humans. You sell yourself short. You understand the most important thing: that you live to please your master. That lesson has not been learned by many of My children. Have you considered killing your owners in their sleep and eating them? (And people think I don’t have a sense of humor). Yes, there will be mailmen in Heaven. But they will have forgiven you. Dear companion, men have told you something that isn’t so. These are not rules that you need to follow to be good. These are rules whereby the strong (you) live with the weak (them). The rule for all living things is: “Let us then pursue what makes for peace and for mutual upbuilding. ... We who are strong ought to put up with the failings of the weak, and not to please ourselves. Each of us must please our neighbor for the good purpose of building up the neighbor. For Christ did not please himself...” [Romans 14:19; 15:1-3 NRSV]. You know this, but living with them sometimes makes it hard for you to remember. In any case, you have my full permission to ignore rule #6. Knock yourself out. The first witness, David Walker, was sworn in at 9:08am on the fourth day of the trial. He is an AT&T Network Mobility Manager, responsible for cell site planning, switch planning, budgets, and capital investment. He was designated by AT&T to be the custodian of Dianna Gear’s cell phone records, obtained from AT&T via subpoena. As the time of a call is important evidence, it was established that AT&T rounds call time up to the next minute. The minutes start when a call is answered. Next, time synchronization between phones, towers, and switches was discussed. Everyone needs a primer on the Network Time Protocol. The district attorney noted that the time on his phone was different from that of the witness and asked why. Walker responded that a customer can manually set a phone to be ahead or behind of the network time. He did not note that synchronization of the displayed time with the network can be turned off. There was a discussion of tower locations and the RF coverage from the three “faces” on each tower. Aerial images of the cell towers were submitted into evidence. The first four digits of the cell id identify the tower that handled the call; the last digit identifies which “face” picked up the signal. For the first three calls, the east face of the tower near the Target handled the call. I assume that the fourth call was handled by the west face of the tower servicing Bogart, GA. The witness was excused at 10:17am. Day three of the trial began at 8:30am. The district attorney called Corporal Shane Partain to the stand. Corporal Partain received the call to go to the accident scene around 6:40 to 6:50pm on February 25, 2008. He testified that he arrived around 7:05pm. He carried an LED flashlight with a built in video and audio recorder. This model appears to be similar to the one he had. He recorded the conversations various police had with Gear after the incident. Gear stated that he believed that Bryan had hit the girl’s car. He recalled firing only once. Part of the search for the shell from the gun was also recorded and presented. Partain is also a motorcycle enthusiast. He testified that the motorcycle, a 2008 Kawasaki Ninja EX250, was in second gear when it crashed. On March 3, 7 days after the shooting, Partain retraced the route from the Target to the Gear home. He left the Target at 6:18pm and his in-car recorder showed that it was still light. He arrived at the Gear home at 6:31pm. He stated that it was “relatively light, not dusk, could see without headlights on.” The defense attorney, Mr. Tolley, did not want this video shown. He argued that it was a re-enactment of the timeline of the events of that night and, as such, was not permitted by the Supreme Court. The DA countered that it was not intended as such, but was solely to present lighting conditions. Obviously, the DA wants it lighter; the defense wants it to be darker. The judge ruled that the video could not be placed into evidence, but that still shots of the start and finish of the video could be shown. Defense countered that, at 2 minutes of additional light per day [sic], there would be an extra 15 minutes of daylight in these pictures. For March 3, the Naval Observatory reports sunset at 6:33pm and the end of civil twilight at 6:58pm. As noted in the previous post, on Febuary 25, sunset was at 6:27pm with civil twilight at 6:53pm. Obviously, the defense attorney fudged the numbers a bit. On cross, Tolley wanted to show a portion of the video that showed cars with headlights on, which Judge Stephens did not permit. Tolley asked the corporal if he recalled streetlights being on during this time. He could not recall. At 1:24pm, the DA called Deputy David Burchett, who received a call to report at 6:45pm. He arrived on scene about 6:55pm. Other police were already at the scene and the victim had been placed in the ambulance. He did not know that Corporal Partain’s flashlight had A/V capability. He was assigned to watch Mr. Gear and to ensure that there were no incidents. Except for briefly helping to look for the bullet shell, he mostly stayed with Gear. Later, he measured the width of the road, the width of the driveway, and Gear’s location near the mailbox where the shooting allegedly transpired. This document can not be found, not due to the fault of Burchett. On cross, Tolley attemped to show that Gear had fired closer to the street and had subsequently backed up. The deputy could not support or refute that theory. At 2:10pm, Captain Jimmy Williams took the stand. He is the 911 director for Oconee County. At 2:22, the state entered in evidence the 911 calls for the current incident and one from February 20, 2006 at 10:16pm. At 2:33, the first 911 call was played. A private citizen whose privacy will be respected, called at 18:32:24 and said, “a motorcyclist may have been shot in the middle of Gear Road.” At 2:39 the call from Gear was played. This call was made at 18:32:26. Gear was heard to say, “He hit my daughter’s car then he swerved over at my mailbox and tried to run me over.” The call from 2006 was not played. Deputy Sheriff Scott Underwood began his testimony at 2:59pm. He secured the scene then spent approximated an hour trying to locate the shell casing. Several deputies assisted for most of that hour in which an area of 1,200 - 1,500 square feet was searched. No casing was found. Asked if a metal detector would find brass, he replied “I assume so.” (Note: they can). Sergeant Steven Guest was sworn in at 3:19pm. He is trained in accident investigations. He did not claim to be an expert but that he has testified at several trials. He arrived at the scene around 8:30pm whereupon he marked the area with orange paint. The next day he used these marks to create a 1” to 10’ scale drawing of the area. Using the video recorder in his patrol car, he too made a tape of the lighting conditions around the time of the shooting, but two days afterwards. As before, it wasn’t dark. He participated in the effort to match the motorcycle to the damage to the Sentra. On cross, at 4:08pm, Tolley noted that the scale drawing showed that Gear’s driveway was 24 feet wide, while the street was only 21 feed wide (inside of fog line to inside of fog line). I suppose this was an attempt to discredit the drawing. However, the Google satellite photograph of the scene shows that the driveway is slightly wider than the street. The scale drawing appears to be correct. It will be interesting to see if this backfires on Mr. Tolley. Sergeant Guest is also a certified laser operator. Tolley then noted that in second gear, from a “normal” start the motorcycle was able to travel at 27.2 mph. A “revving” start showed speeds of 48.8 mph and 54.7 mph. I had to leave after this witness. From the scale drawing made by Sergeant Guest, the motorcycle travelled at least 44.25 feet after it hit the pavement. With the help of my son, who is a first year graduate student in Mechanical Engineering at the University of Illinois, we did a very rough calculation of how fast the bike was going when it fell over. The calculation depends on the coefficient of friction between the bike and the pavement . Obviously, we can’t know this value with much accuracy. We don’t know how much of the bike or the rider was in contact with the pavement. However, the following graph shows the possible speeds for coefficients between 0.1 and 1.8. I must stress that this graph could be wildly inaccurate and was done solely for my amusement. As reported by the Athens Herald-Banner, a Georgia State Patrol collision reconstruction expert testified on Monday that the motorcycle was traveling 26 to 28 MPH when it crashed. These baselines have been added to the graph, showing a coefficient of friction between 0.5 and 0.6. I was unable to attend today’s portion of the trial. Yesterday’s testimony placed the Target in Athens as the location where the interaction began between Bryan and the Gear girls, Chelsea and Samantha. Using the information in the affidavit for a search warrant for the car driven by Chelsea, I’ve constructed a Google map of various points of interest including the Target, the Gear home, the Mough home, and points along the way. Note that the location of the Gear home on my reconstruction is inexact. Chelsea stated she and Samantha left Target around 6pm and turned left onto Atlanta Highway to head home. As the map shows, this is also the way Bryan would go home. They both passed the Pepsi facility near the intersection of Atlanta Highway and Hwy 78. The next location is the intersection of Atlanta Highway and Burson Avenue. Here, Chelsea stated that Bryan was going straight while they were turning right. That matches how each would travel home. However, this is where Chelsea says she made an obscene finger gesture to Bryan. Again, according to the affidavit, this is where Bryan turned to follow them. Chelsea turned left onto Elder Street and claims that this is where a collision occurred between her car and Bryan’s motorcycle. Chelsea then stated that Bryan turned left onto North Church Street. Chelsea stops at Elder and Broad Street. Bryan supposedly appears behind her again, which means that he had to travel along Main and take the dogleg right on Broad. Chelsea then drives to her house where the fatal shooting takes place. Item 3 is where Bryan deviates from his route home. I have to wonder, was the offense of receiving “the finger” enough to get Bryan upset enough to follow the girls, which lead to the collision in 4? Or did something happen earlier to cause Bryan to follow them? I suppose the forensic evidence of any incident at Burson Ave and Elder Street would have been presented today. that Deputy Sergeant Ken Elrod was on patrol in the Bogart area during the time of the incident.... Specifically D/S Elrod was in his marked patrol car parked in front of the Bogart Christian Church at the intersection of Elder Street and Broad Street, D/S Elrod was backed into a parking space facing the intersection. D/S Elrod states that neither a motorcycle nor a Nissan Sentra passed in front of him during the time described by Chelsea Gear. Was the deputy wrong as to the time? Was he sure that he was alert? Did Chelsea lie about this? It’s an awfully elaborate story if so. At the very least, this is how she would have gone home. How long did she have to concoct something before her statement was taken? Was there any evidence of a collision on Elder Street? Let’s add another complication. Google maps claims that the travel time from the Target to Bryan’s home is 39 minutes. Google doesn’t use the route that Bryan would have taken, but let’s assume that the time is accurate enough. Using data from the U. S. Naval Observatory, on that day sunset was at 6:27pm, with civil twilight ending at 6:53pm. If Bryan left the Target at six, that gave him barely enough time to get home under the conditions of his driver’s permit. Would he take such a risk because a girl he did not know flipped him off? Without Bryan to defend himself, my concern is that the defense attorney will use Bryan’s alleged deviation from his way home to follow the two girls, for the simple slight of an obscene gesture, to attempt to show that Bryan was aggressive enough so that the girl’s fear of harm was real and substantiate the notion that Bryan might have likewise been aggressive toward Gear. At this point, I’m not sure what else Mr. Tolley can do. But all he needs to do is raise reasonable doubt. But even this will be very difficult if the evidence shows that the motorcycle stayed in the street and did not threaten Gear. Today I attended a murder trial. I have not often been in court; when I was 14 I took the witness stand in my parents divorce to say that I wanted to live with my father. Sometime during my teen years I’m told I got to sit in on a Supreme Court trial -- something to do with the hops used in brewing. It obviously left a big impression on me. When I was twenty-three or so I appeared in Virginia traffic court and plead guilty to having an expired vehicle inspection sticker (I thought Virginia had switched from twice a year renewal to once a year so I delayed getting it done). In my 28 years in Georgia, I have been called to federal jury duty once (but was not picked for any cases) and county duty once. The one trial where I was a juror ended up with a directed verdict, so I did not get to help decide the case. On February 25, 2008 Brian Joseph Mough was shot in the back by Richard Gear. Reports of the incident can be found here and here among others. An obituary is here. The Moughs were our neighbors for almost seven years before they moved from Buford to the Winder area. My children grew up playing with their three boys: Travis, B. J., and Zack; and Rachel and Zack would occasionally get together even after they moved. Jury selection began yesterday (Nov 17) as chronicled here. The final jury was chosen around 1pm today; visitors were then permitted inside the courtroom. Judge Lawton E. Stephens is presiding; the prosecutor is District Attorney Ken Mauldin; Ed Tolley is defense attorney. Joe Johnson of the Athens Banner-Herald represented the fourth estate, as well as Melissa Hanna who videotaped part of the trial’s beginning. I had a delightful time chatting with them in the waiting area. We avoided discussing the trial and instead talked about the impact of the internet on the various media. Mr. Maudlin’s opening statement lasted for about an hour and twenty minutes, if I remember correctly. Mr. Tolley’s was much less. It was like watching two painters at work, each creating their own picture, while simultaneously trying to erase or change the other’s work. Maudlin tried to paint B. J. as a conscientious, responsible young man (which he was) who, for some reason, followed Gear’s two daughters home on his motorcycle. Gear initially fired two shots, which missed. Some time later, B. J. had turned his motorcycle around and was heading back the way he came, when Gear fired a third shot, striking B. J. in the back with the bullet passing through his other side. It isn’t yet clear why B. J. followed the girls to their house. Evidence of a collision between his bike and the girl’s car wasn’t brought up at that time although an obscene finger gesture by one of the girls was introduced. It also isn’t clear if B. J. was aware of the first two shots. With his helmet on he may not have heard them. We may never know. For some reason, Mr. Maudlin focused on the time between the second and third shots. He stressed that it could have been between two and four minutes. Mr. Tolley clearly wants to paint a much different view. Gear is claiming self-defense therefore Bryan must be seen as an aggressor; someone who tried to intimidate two innocent girls; and who clearly threatened Gear with his motorcycle. Tolley strongly disputed Maudlin’s account of the time, claiming that phone logs would show that all three shots took place in no more than two minutes. Perhaps the theory is that a shorter time frame forced Gear to act quickly. Tolley did not bring up the undisputed fact that his client shot B. J. in the back. Tolley also made sure to paint Gear as a sympathetic figure who has multiple health problems and is suffering from fourth stage kidney disease. Tani was first on the witness stand. It was obviously a very emotional time for her; at one part of her testimony she had me crying on the inside with the pain of her loss. I thought she did a magnificent job of describing how her son was on the path from boy to man: searching for his life’s career, working two part-time jobs, attending school part time, selecting and paying for his cycle, then learning how to ride it in a responsible manner. Mike followed her and, while fewer questions were directed to him (and they were mostly repeats of what was asked Tani), he did equally well. Tolley did ask if B. J. had any girlfriends. Yes, but Bryan and Brittany had broken up six to eight months previously. Tolley wanted to ask something else, but a sidebar with the DA prevented that. Perhaps one angle would have been to use this to support the notion that B. J., being mad at girls, would have been motive to intimidate Gear’s daughters. Tolley also drew attention to a picture of B. J. with some type of Japanese sword. It may have been similar to this. The trial ended before six; the first witness tomorrow apparently comes with a lot of pictorial evidence. Given my work schedule, I don’t know how much I’ll be able to attend. If I go, I must remember to bring a notepad. My daughter bowls regularly in a home school bowling league. Yesterday she swapped out her old ball for a new one and wanted to get some more experience with it. Her league average is around 115 and her high is 182 (or 183, she isn’t sure). I used to bowl in a league in college; my average thirty years ago was 140-something with a high of 203 (that game I bowled way above my pay grade). So today, the father (WRF) caked with rust faced off against the daughter (RAF) with an unfamiliar ball. Two good things did come out of this debacle, however. I managed to win 2 free games by rolling a strike when the head pin was orange in two opportunities in the second game. Rachel had also decided to give up in the second game around frame 5 or 6. I could see it in her eyes. I gave her the Yogi Berra lecture (“It ain’t over ‘til it’s over”). Her two strikes in frames 9 and 10 forced me to have to mark in the last frame and I just wasn’t hitting the spares today. I hope she remembers this. I also wish I could interest her in disc golf. I’d have a better chance of winning. Citizen, what do you have to hide? “If you're doing nothing wrong then you have nothing to worry about” is a flimsy rationalization. I'm doing nothing wrong, but I nevertheless worry about the government doing something wrong. Governments exist to increase their power -- at the expense of freedom. Therefore, government should be limited wherever and whenever possible. My sister sent me a collection of my father’s writing: a 3-ring binder with 4 1/2” of single sided, single spaced typewritten pages with handwritten corrections from his unfinished and unpublished autobiography, A Country Doctor in Washington, and several years worth of handwritten diaries. The following is from pages 126 through 129 of A Country Doctor and recounts his one meeting with the famous author, Truman Capote. Saturday, January 5, 1974. A telephone call was received from Kay Graham requesting that I see her houseguest, Truman Capote. I agreed to meet him at the office in the Burns Building on Pennsylvania Avenue. Because it was a Saturday morning I decided to perform a reasonably complete initial visit workup. Mr. Capote gave his address as 854 Paseo El Mirador, Palm Springs, California. DOB 9/3/24. His complaints consisted of postnasal drip with cough of 4-5 years duration, with superimposed shortness of breath for the past 2-3 months; some paroxysms resulted in gagging and regurgitation of bitter yellow '”bile”; some night sweats since September, intermittent; coughing spells often followed by pain in the back of his head and neck with radiation into the eyes which can interfere with reading for several hours. He also complained of anxiety which awakens him at night and terminates in a coughing spell. The dyspnea is only on exertion and he does not regard it as severe. For conditioning he patronizes a spa daily with an hour of massage. “Two pack a day smoker since age 13” although some effort to stop in the last few months. He has gained 30# in the last 3-4 years. He has just finished a book, and a screen play. He is en route via auto to southern California with a friend, and plans shortly thereafter to return to Houston to cover a mass-murder trial about which he expresses some anxiety “because it is an arena in which I may be uncomfortable”. He also confides that on September 6, 1969 he sustained a “fantastic shock”, the pattern of which he revealed in confidence to me stating that it was followed by progressive depression to the point that he became unable to function and “I’ll never get over it completely”. The result was a nervous breakdown in 1970 manifest by moderately severe depression and hospitalization for three weeks in the Regency Hospital in New York. Following discharge he was treated by a psychiatrist with anti-depressant medications for a year and a half but he felt little rapport and discontinued treatment after about 1 1/2 years. Subsequently he identified a former priest now in psychiatry whom he respects intellectually and with whom he believes he can establish a meaningful therapeutic relationship. He also recognizes a drinking problem consuming one-half quart of alcohol per day, beginning with a double vodka screwdriver in the morning and progressing throughout the day. He also consumes two meprobamate upon awakening, two during the day and another two at bedtime. If this is ineffective he takes another two with another double screwdriver. Valium has been ineffective; doriden helps but he doesn’t resort to it often. Takes some tequila, and occasional marijuana which he finds quite relaxing. In 1970 he had some rectal bleeding with two operations for a “giant wart” with no mention of malignancy. He is allergic to peaches, manifest by rash, increased lacrimation and pruritus. Mr. Capote was born in New Orleans; appendectomy at 9; UCD without sequelae. No fractures. Tonsillectomy at age 24 with considerable trouble with his throat including “strep” infections. In 1969, at 11 a.m., he experienced an auto accident when he turned to quiet a dog in his car, lost control and ran into a tree. He lost some front teeth and sustained some damage to his eyes and forehead with resulted in plastic surgery at Roosevelt Hospital. His father is living, aged 73, and has been married six times. His mother was deceased at age 44 from suicide via an overdose of pills. Both maternal grandparents died in their twenties from tuberculosis. No siblings. Paternal grandfather died from cancer of the stomach; a paternal great-uncle also had malignancy of some sort. Physical revealed a short, stocky stature. (He had once characterized himself as “tall as a shotgun and just as noisy”). BP 145/110 RA and 136/110 LA. P 100 reg. Hgt. 64 1/2” Wgt. 169 1/2# Hacking cough present and non-productive, but was noted to be stimulated by cold air on crossing the street. Some increased tortuosity of retinal vessels. Several front teeth absent, especially lower. No sinus tenderness. Thyroid not enlarged or tender. Carotid pulses 2+ and symmetric without bruits, as are those in the extremities. Mild limitation of motion in the neck, esp. on rotation to the right with trapezium discomfort. Some erythema of hypothernar eminences bilaterally. No lymphadenopathy noted anywhere. Heart not enlarged; no murmurs or rubs. Lung fields clear. Diaphragms descend a bit sluggishly but without rales, ronchi or posttusssive wheezing. Well-healed RLQ surgical scar which is somewhat widened. In lower extremities some tendency to genu varum (or tibial bowing) bilaterally. No edema; SLR normal; ROM within normal limits. Patient was accompanied across the street from the hospital to radiology for PA and lateral. Heart/lungs unremarkable but there is mild R. pleural thickening and may be a little increase in the intercostal spaces bilaterally. Bronchitis, probably allergic or nervous in origin with element of COPD being possible. Treatment: Symptomatic; see for follow-up if unimproved. Also, should have above findings confirmed and further evaluated. Given name and number of an internist in Houston in view of his proposed travel. Truman Capote was a colorful personality. His literature contribution in 1958 of Breakfast at Tiffany’s was a classic and the technicolor movie version with Audrey Hepburn a big success (and remains so). His literature masterwork was In Cold Blood in 1965 about two drifters who murdered a Kansas farm family for no apparent reason. In it he used techniques of fiction to tell a factual story. When he indicated his plans to attend another trial in Houston one could but wonder whether it would prove to be background for another triumph of the author. I never saw Mr. Capote again, nor did he pay the modest bill which I had sent to him. He had quite a lot of press coverage in the ensuing years, especially related to his book '”In Cold Blood” stimulated by his presence at the Houston trials. He died in his sleep on August 25, 1984 at the home of Joanne Carson from liver disease complicated by phlebitis and multiple drug intoxication but not an OD according to the LA coroner. He was only 59.